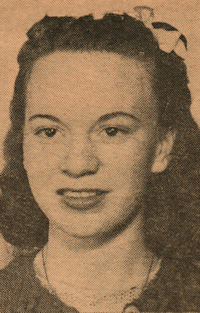 Obituary – Phillips, Wanda Daphne (McFarland) « Perry High School Alumni Association, Inc.
– 17 year-old daughter of Mr. and Mrs. J. A. McFarland, was born in Kiefer. She attended the Kiefer, Bristow and Shawnee schools. For the past four and one-half years she has attended the Perry schools. She served as secretary and treasurer of the band during the junior and senior years. Wanda served as band queen for one year, and is a member of the Order of Rainbow and Queen Esther Circle of the Methodist church. Hobbies are collecting pennants from colleges. Her plans for the future are indefinite, but she thinks she will attend college some place this fall. 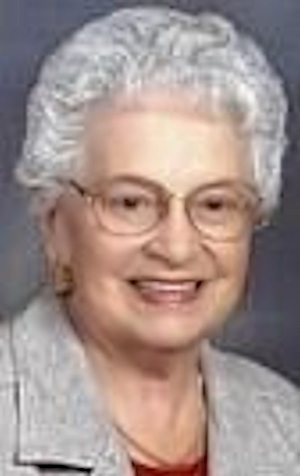 Wanda Daphne McFarland Phillips, 92, of Midwest City, OK, passed away on October 19, 2015, at her home in the company of loved ones. She was born May 11, 1923, to Mabel and James McFarland in Kiefer, OK. Wanda retired from the State of Oklahoma where she worked as an administrative clerk for the Department of Human Services. She was a member of Midwest Boulevard Christian Church and she loved the companionships she built during her involvement with the Mary Martha Ladies. Wanda was also a proud member of the Daughters of the American Revolution. She loved sewing and quilting and had an eye for detail. She never purchased an item of clothing she couldn’t improve upon. Wanda was preceded in death by her parents; her loving husband of 61 years, George; daughter, Frances Scowden; grandson, Todd Phillips and 2 sisters and 1 brother. She is survived by her sons and daughters in law, Mike Phillips and wife Charlotte and Mark Phillips and wife Camille; grandchildren, Michael Phillips, Chrissy McNeil, Candace Lockett, Philip Scowden, Stacy Pierce and Ashley Bryan and brother James McFarland. Funeral services will be held 11 a.m., Friday, October 23, 2015, at Midwest Boulevard Christian Church with interment at 1:30 p.m., at Arlington Memory Gardens.